Description: Aerial. 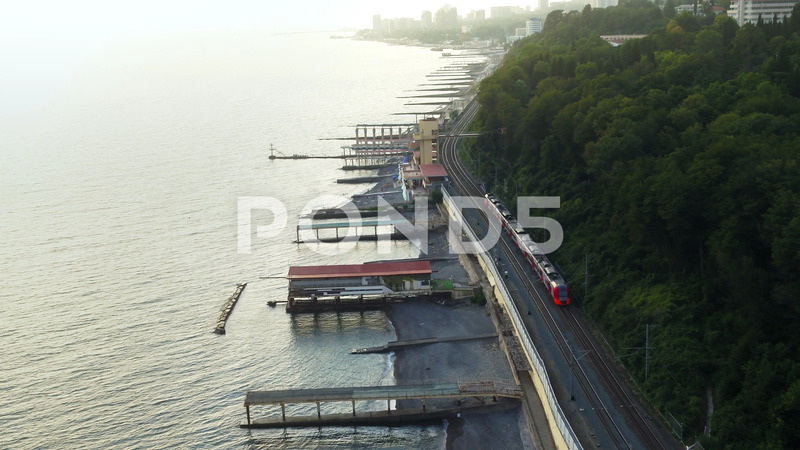 A red-and-gray passenger train is riding on the rails between green forest and the sea. There are many piers along the coastline. The train is approaching the city.